This package contains 1x stretch cover and 1x hard cover of your choice. 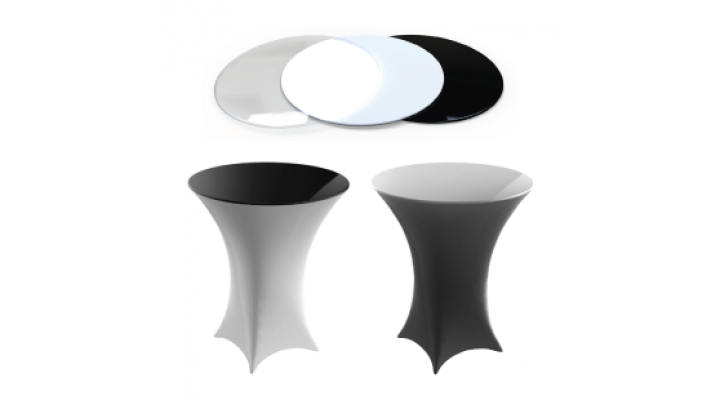 They are manufactured to fit our standard and LED poseur tables with a table top diameter of 78cm (30.7in). *We cannot guarantee that the covers will fit other poseur tables that are not manufactured by ourselves. 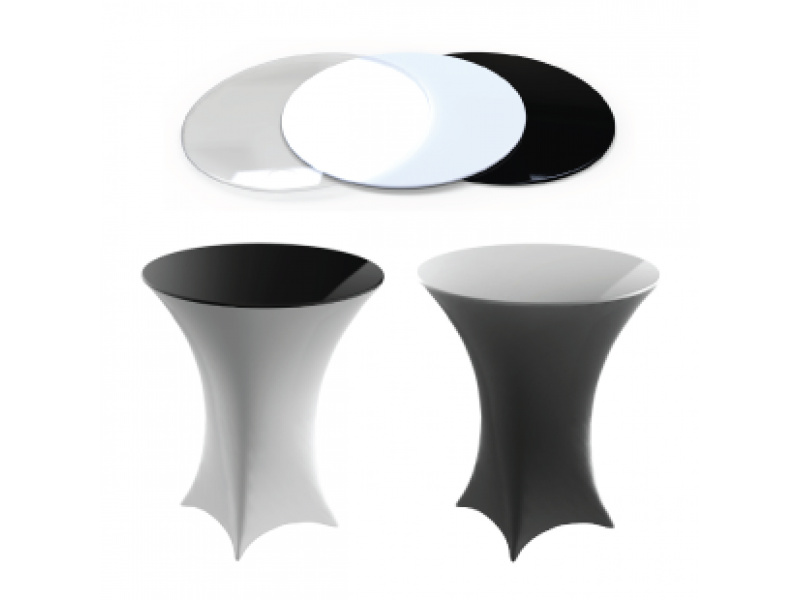 Poseur Table is a 3-piece, sturdy table which can be used for serving cocktails or food, sat ar.. The LED Poseur Table uses a built in wireless LED system to illuminate it's surroundings. The t..